Various magnetic properties of the diluted quasi-one-dimensional antiferromagnet CsNi1−xMgxCl3 are investigated experimentally for several impurity concentrations. The antiferromagnetic resonance spectrum and the phase diagrams are found to depend significantly on the amount of added Mg. 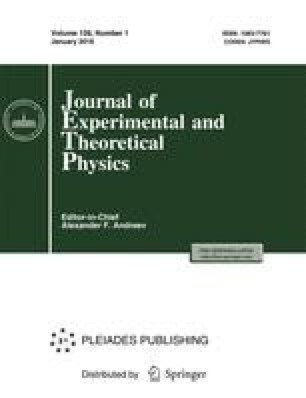 The field and temperature dependences of the static magnetization is measured for crystals with two different contents x. A substantial increase in the magnetization is observed at low temperature, where the additional susceptibility is approximately proportional to the concentration. The physical mechanisms underlying the observed strong influence of magnetic defects formed at breaks in the spin chains in a quasi-one-dimensional antiferromagnet on its magnetic properties in the ordered state and for T<TN are discussed.